Writer, musician and pop culture cosmonaut Tyler Scruggs writes introspective editorial pieces on film, television, music, queer culture, and internet pop culture. How the phasing out of physical media and retailer exclusives hurt you, the consumer. It's no secret that physical media is on its way out. Beginning with music at the turn of the millennium, most people have begun buying their music, movies, TV shows, and even books through digital retailers. However, even in this new digital age, there has still been strong support for physical media. DVDs, CDs, Blu-Rays all have their place in our homes and Wal-Marts but movie studios are beginning to realize that digital distribution - downloading the files of your favorite media - is the final frontier in home entertainment. One that is mostly easy for the consumer and (more importantly) more cost effective for the studio. 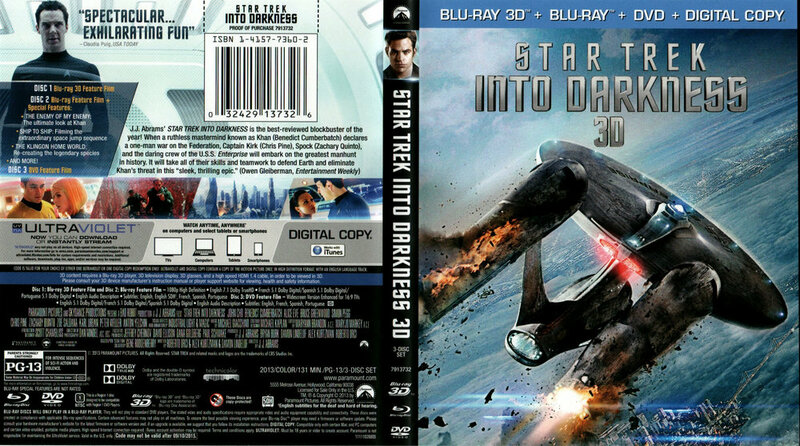 This week saw the release of Paramount’s Star Trek Into Darkness; the latest entry in the nearly 50-year-old franchise. After glowing reviews (a high 83% of critics enjoyed the film on Rotten Tomatoes) and a moderate success at the box office, raking in $446 million worldwide, it’s clear that even decades later, Star Trek is a viable property ready for home viewing. Not to mention, 2009’s Star Trek is the third best-selling Blu-Ray of all time, so there’s a lot riding on the follow-up’s success. That is until news caught fire that Paramount took the 3 hours of special features made for the home video release, and distributed them among different retailers such as Target, Best Buy, and iTunes; making it impossible -- or at least very costly -- to collect all the different special features. This doesn’t seem like a big deal. Special features aren’t all that important to the average consumer and as long as the whole movie is on the disc, who cares? Well, other than outcry from your local Trekker, you. If Paramount and other movie studios are successful in convincing you that DVDs and Blu-Rays are no longer worth your while when they contain nothing more than the film itself, they’ll eventually cease to exist. This is problematic for some who aren’t quite ahead of the curve and aren’t familiar with terms like UltraViolet, Vudu, CinemaNow, and all the other cloud-based digital movie retailers that are sprouting up. Heck, even as a blu-ray collector and enthusiast, I’m not even savvy with those sites, let alone willing to convert my entire library to their cloud. Even worse, those digital retailers stock their virtual stores through contracts with the studios themselves, meaning that when and if those contracts expire, the retailer can no longer provide those particular movies and can remove them from your collection. That’s right. Now you’ve paid $25 for nothing. No wonder why so many simply download their media illegally. The climate has become less and less consumer-friendly. That kind of instability is ludicrous, especially for the average consumer, but studios are doing everything in their power to push you into these digital retailers so they can save money on disc manufacturing. Even if it means taking special features that are intended for the Blu-Ray (like audio commentaries and deleted scenes) and making them exclusive to iTunes or CinemaNow. Which looks to be their course of action. Luckily, fan outcry and harsh criticism from multiple online news outlets have led Paramount to realize their error and begin preliminary plans to put together a ‘special edition’ Blu-Ray with the missing features. Which goes to show that value trumps convenience and that ditching physical media isn’t anyone’s best bet.